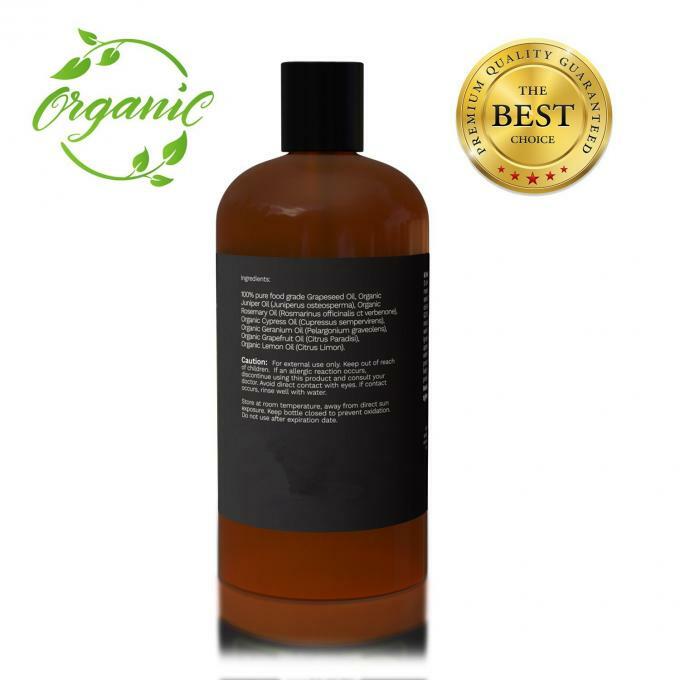 Professional strength Anti-Cellulite massage Oil, Contains 100% Pure, Natural and Certified Organic Plant Extracts for Effective Removal of Cellulite. Perfectly balanced D – Limonene formula is rich in linoleic Acid and Flavonoids That Help Your Body Break down Fatty Acids, Improve Metabolism and Burn Fat. 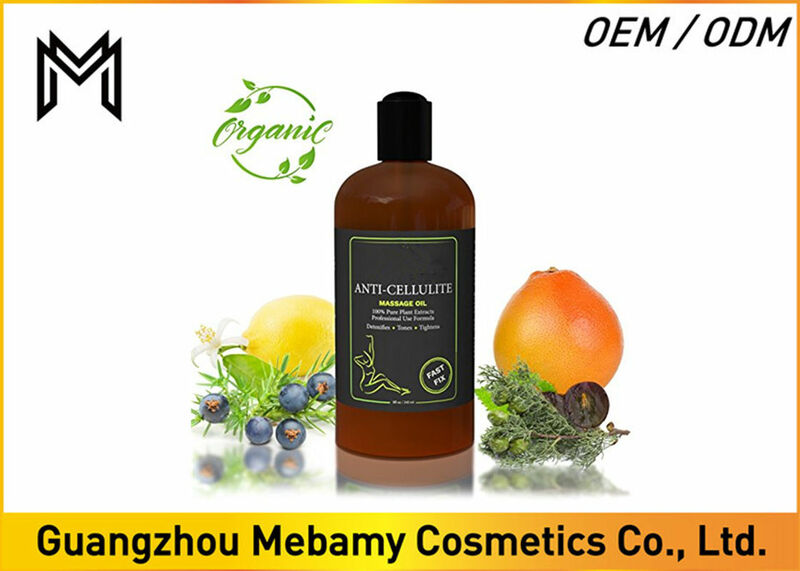 Pleasantly Aromatic Oil Absorbs into your Skin Quickly, Leaving you With Cellulite Free Baby Smooth Skin. 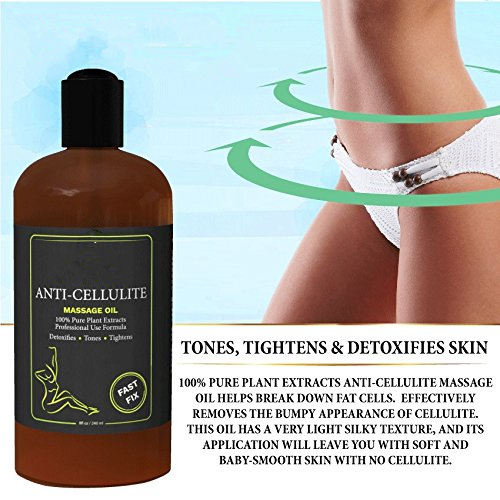 Anti-Cellulite Massage Oil Provides a Pleasant Soothing Experience for the Entire Body and Treats Cellulite Affected Areas on Hips, Thighs, Buttocks and Abdomen. Works More Effectively than Anti-Cellulite Cream. For maximum results, apply the massage oil on damp skin after taking a shower or bath to lock in moisture. Oil applied to dry skin will coat the skin, but will not penetrate. Massage into skin until fully absorbed.